Folk Art was a new form of art for me until I moved here to Nova Scotia and I have come to enjoy the bright colours and humour in it. At Folk Art Maritime in Lunenburg, right across from the Library, there is a fine selection of pieces by artists from all corners of Nova Scotia. There are figures, animals, birds, fish and paintings. I love this smoking sailor by Bradford Naugler. The carving is 36″ high and is very colourful. 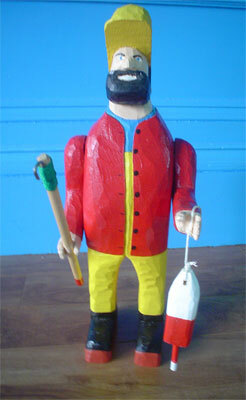 This fisherman is all set to head out to sea. The artist is Reed Timmons of Cape Breton, who worked as a lobster fisherman, so lots of his pieces are inspired by that. Frank Corkum is a local artist. He was a carpenter and built some of the church steeples around Lunenburg. He carved this tall Sailor. The Puffin is by Mae Workman, the Loon by Sam Amiro, and the Maroon Clown Fish, by Bill Roach. I think this is my favourite piece in the Gallery at the moment, again by Reed Tmmons. 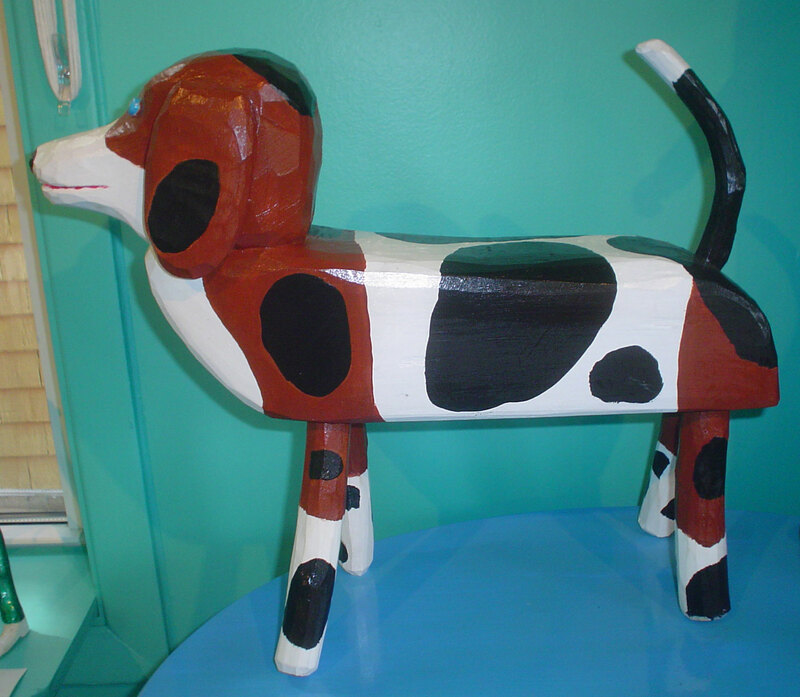 This is what folk art is all about – something to make you smile and enjoy it. 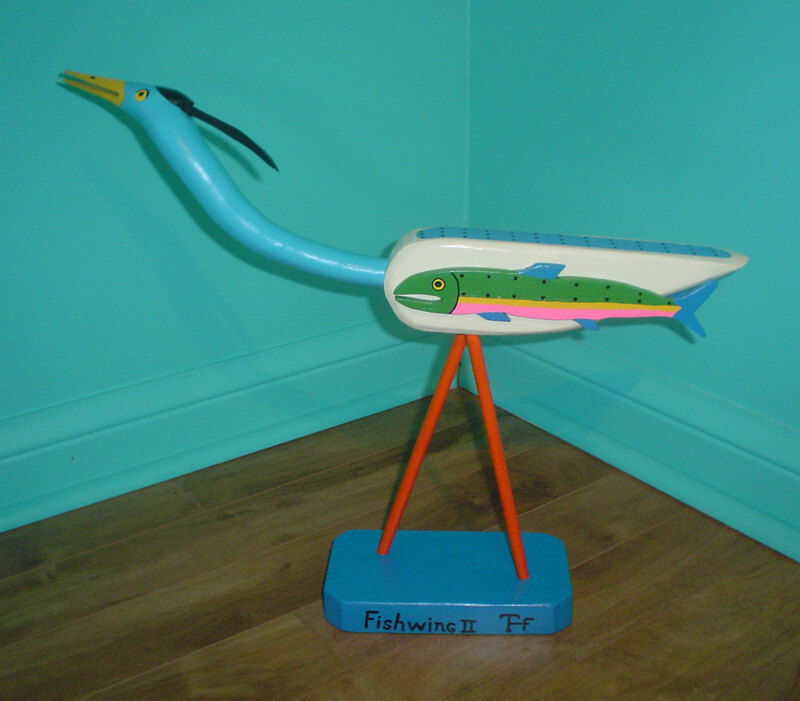 Fishwing the Heron is a nicely finished piece by Terrance Fortune. It is very appropriate to this area, as we see herons in every bay, every day, stalking their breakfast. 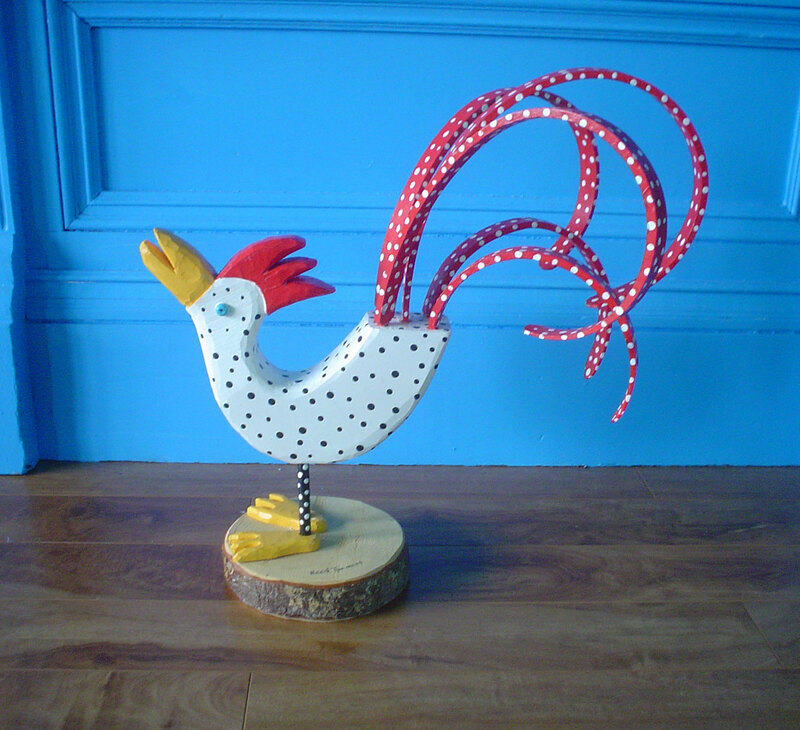 The tail feathers on the Red Tailed Rooster make it look very striking. 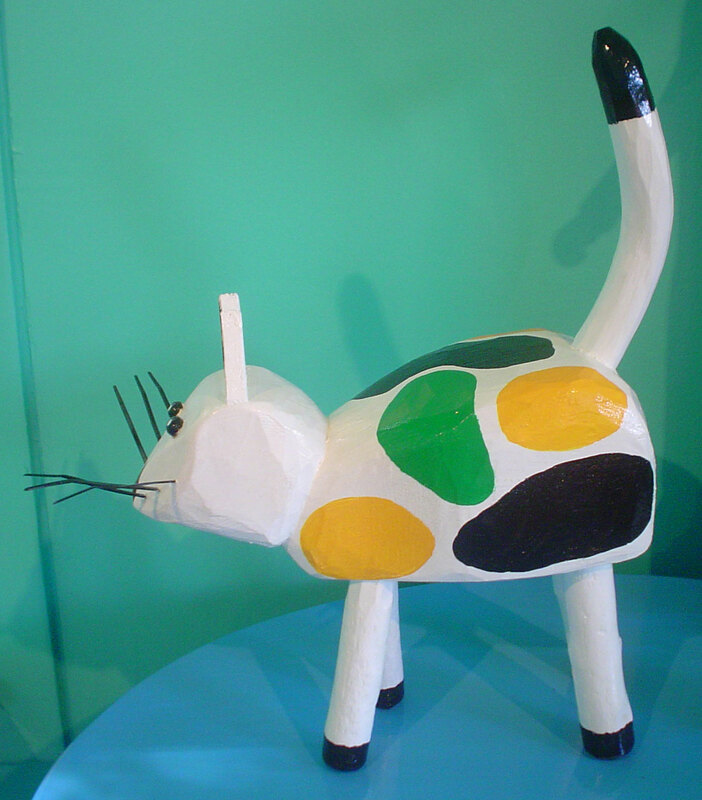 Cats and dogs are always popular subjects and I’m sure it won’t be long until Calimanco the Cat, finds a new home. Likewise, the Brown and White Dog, which looks a bit like a beagle. 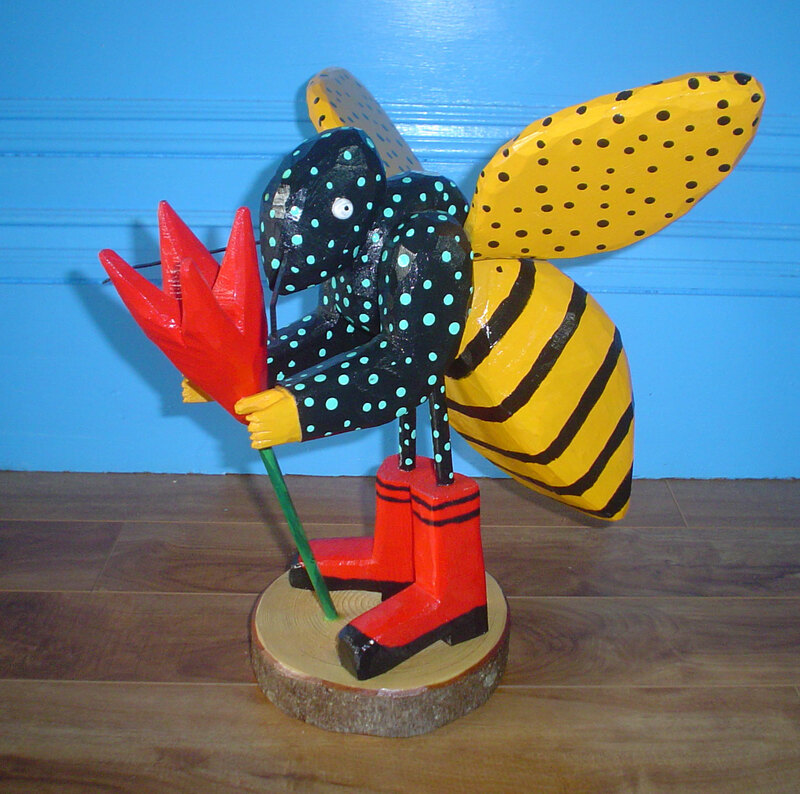 The Wasp Queen with Tulip, shows what folk artists do best; take a theme and make a whole story around it. This wasp could be a character from a child’s story book. I chose a few of my favourite pieces from the gallery, but now realise that this is mainly a Reed Timmons blog! I guess he must be the artist I rate highest – at the moment. or come by the Gallery and see them for yourself. Maybe you need a special gift for a wedding, or are travelling to visit someone in another province or country. You couln’t find anything more unique to Nova Scotia! Oh Jackie, next time I’m in Lundenburg, I’m definitely looking for this gallery. I’m in the Gallery on a Wednesday afternoon and Friday morning, so please come in for a blether. These are excellent! I am a big fan of folk art. We leave for Nova Scotia next week, and I am so very excited. 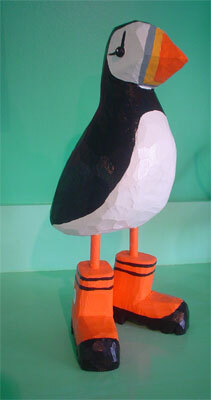 I hope you’ll be visiting Lunenburg and the Folk Art Maritime Gallery. Have a great trip! 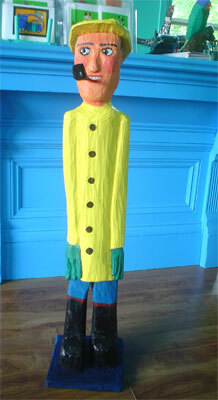 Go to the Folk Art Maritime Web site and email Bill. Maybe he can get you another one as that one has gone to Calgary.